When your business needs to be able to improve or protect its brand reputation, you need to be able to turn to a company that you can trust. There are a few reputation companies available, but one of the most valuable, with a good reputation of their own, is Reputation Rehab. They provide a number of reputation management services which are designed to meet the needs of the company. The majority of brands that this company deals with are in need of assistance with their social media. To understand how Reputation Rehab can transform your social media profile, you need to be able to understand what it is that they can do to help you. When you are trying to adjust your brand reputation, one of the most important things that you have to do is to assess your current social media standing. This includes discovering anything relevant to your business currently on social media. Reputation Rehab notes where your brand has significant content, and where it is attached to you it can be protected using social media and reputation management tools. If you don’t have a recognizable social media presence, Reputation Rehab can help you to create one. 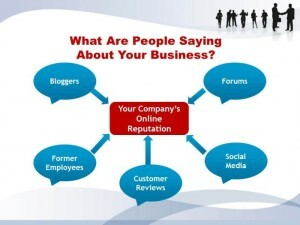 From time to time, all businesses and celebrities will experience negative social media comments, reviews or feedback. The way that your company handles this negative content will affect how the public perceive your brand in the future. For example, Reputation Rehab can start by repairing reputations which have been damaged already by poor social media comments. 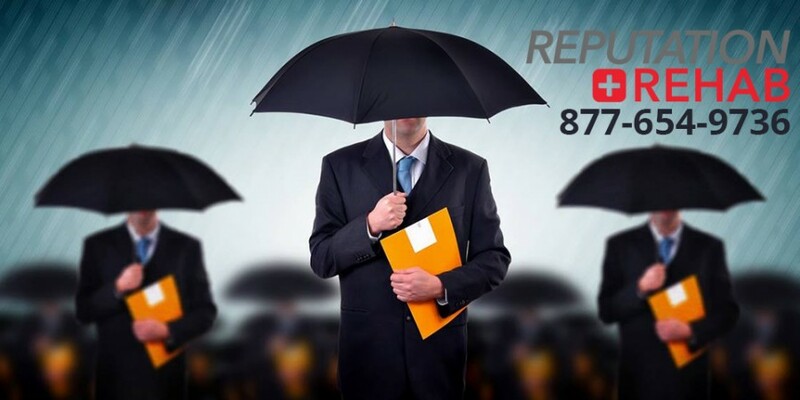 Smears, poor reviews and false information about your company can all be handled effectively by Reputation Rehab. When you are attempting to combat negative reviews, it is important to be able to replace them with positive content. This can be done through improving your social media presence, and using it to generate positive content, backlinks and SEO creation that are designed to improve your search engine rankings. Getting above negative comments can help out your business enormously, and will ensure that you can present your business in a positive light. The range of assistance that Reputation Rehab can provide for you is the reason that they have been voted in the top 3 Reputation companies in the USA, and why you should trust them to improve your brand reputation. Online reputation management has never been so important for businesses. More and more companies are being obliged to address problems with their reputation, caused in the main by them not being able to take control of their reputation, and the way that their business presents itself to the public. Managing your company’s reputation ensures that the business cannot be undermined by rivals’ negative comments, or by minor incidents within the business. In order to help you handle the management of your company’s reputation, it is important to utilize a range of tools designed to help you search for new posts mentioning your business, handle employee comments, and discover how your brand reputation currently stands with the public. Keeping a close eye on your brand requires a great deal of time and dedication, or the use of an online software tool that will watch your brand for you. With a tool such as Trackur or Brandseye, you can quickly spot when new comments are make about your business, you can access those blog posts quickly, and even spot whether people are linking back from their comment to your website or blog. With this information, you should be in a better position to protect your reputation when it occurs. If you work in a competitive industry, then the comments and behavior of your staff can also affect your brand reputation. You can use tracking tools to notify you when employees such as CEOs, executives and senior management are mentioned. You should also encourage your managers to monitor their staff in order to ensure that your brand is not tarnished through the unsuitable behavior of employees. Google’s program, Me on the Web, is one tool that can help you to track employee’s online behavior easily. Companies often become interested in their brand reputation when it is too late, and the serious damage has already been done. If you choose to be aware of potential problems with your company reputation, then you may need tools such as Rankur, and Social Mention. These two tools allow you to assess how often you are mentioned online, work out whether your target market are posting about you, or how your target audience responds to your brand. Results can also be used to show whether comments are mostly positive or negative, or even how far your brand reach extends. Want to have more control over your business’s online reputation? Many companies have turned to professionals offering expert reputation management strategies which allow their clients to exercise more control over their brand reputation on search engines and social media networks. While it is easy to get a poor reputation without the right management tools, correcting the public’s impression can be much harder. This is why companies have had to develop particular reputation management strategies to help them take action over negative comments and reviews, and to ensure that their brand is not damaged by harmful feedback or content. These creative processes can help to reduce the impact of negative results by forcing them into a lower position in search engine rankings. All of these strategies can provide additional support to a reputation management program. Brand reputation is one of the key battles that small businesses need to fight in order to gain new customers and increase your profits. For a small business, the reputation of the company and the brand could make or break the business, and so it is vital to protect that reputation, and manage it to the best of your ability. Reputation management is something that no small business can afford to ignore, and dealing with your reputation from the beginning can mean that you get the best start to influencing your customers with positive content. One of the most important steps that you can take is to ensure that you set up reputation alerts for the major search engines, including Google, Bing and Yahoo. These will alert you when new posts about your company or you personally are posted online. You can then use it to monitor your brand reputation, and to ensure that you are not affected by negative comments. You can read articles, posts and news bulletins immediately in order to find out information, and to gain more insight into other’s opinions of your brand or business. It can also allow you to read and mitigate any negative information, combat malicious posts, and deal with anything else which might damage your reputation with customers. Staying alert to online remarks about your business can ensure that you keep firm control over your brand name, and will prevent negative content from becoming well-known and part of the general public’s opinion of your brand. Social media networks and the wide access of the general public to the internet will inevitably cause that anything that is said about your company online will quickly spread around the world. If those comments have been significantly negative, then it could damage your reputation and affect how viewers may see your business in the future. Since your reputation could affect your finances, or even the chances of your company staying afloat, you need to manage your brand reputation and ensure that any negative comments are handled quickly and decisively. You can choose to monitor your reputation yourself, you can choose a professional company to help you, or you can use online tools to monitor your reputation. Most companies choose to deal with their business reputation in-house; that is by relying on their traditional PR team. This may be effective while working with standard print or mass media, but it is not the best solution when it comes to the internet. Companies seeking to manage their reputation themselves often find that it is a lot of hard work with little success, and they may struggle to take full control of their reputation. When choosing to call in a professional reputation company you are putting your business’s good name into the hands of professionals. They are often experts in particular reputation management fields, and can help you to get full control of social media comments. The company can also show you how to deal with that reputation online, through answering negative remarks, countering them with positive comments, or simply outranking any negative posts in search engine rankings. With the help of a professional company, businesses can succeed in getting more control of their reputation. Handling the management of a company’s reputation can be made a great deal easier when the business is able to utilize reputation management tools. These can be found in a range of different styles, to be used for a number of purposes. One example of a useful tool is Google Alerts, which allows you to check the internet for recently posted content about you. This can also provide links to the content, wherever it was posted. You can select different locations to search, including blogs, videos and discussions. Social Mention helps you to find out more information about your brand online, so that you can find out what people are thinking about your brand. How can a Blog help to a Better Online Reputation? Companies need to be more aware than ever when it comes to managing their brand reputation online. While traditional media formats can be handled by a PR team, dealing with online customers may be slightly harder. This is because businesses are now exposed to public forums, where anyone with an opinion can comment about your business. One of the best ways that you can establish more control over your reputation is to create a company blog. This allows you to contact your customers and potential customers in an informal setting. There are several reasons why blogs can help you with your reputation. If your company wants to have control of its reputation, then it needs to have a substantial online presence that can overcome negative comments. Part of building a brand means developing a ‘personality’ for the brand and that can be presented easily through a blog. Having senior members of your company, including COOs and senior managers create personal profiles and provide content for the blog can also help to add to your overall online presence, since each member will be linking back to your main blog, to your website, and to other social media networks. If you are trying to overcome negative content, either in the form of online posts, comments on review sites or articles and websites attacking your business, then you need to create positive content. Blogs are a great way to provide important information on your company to your customers, and can also help you to regularly post positive content. Unlike websites, which are easy to neglect, keeping your blog up to date will ensure that you have new, positive, content available for your viewers. While negative remarks won’t disappear overnight, blogs can help you to reduce their visibility and ensure that there is sufficient positive content to take their place. You need to make sure that your company is active on social media, and one of the best formats for this is the use of blog links. You can send people to your blog posts by using Twitter or Facebook posts. This not only helps to spread the word about positive content, but it also provides useful backlinks for both the blog and your website. This helps your business pages to outrank any negative comments.